Since 40 years ago or even way before, many medical researchers, institutions, and organizations are trying to find the origin or cause of “autism” and its cure. We read a lot of information, but we still cannot find any definite answer or solution at all. One states that it is a congenital disease. Others state that it is caused by mercury accumulation in the brain. Another one states that it is probably the way of taking care by parents, and so on. Wow, in that case, all of them are just playing a guessing game! 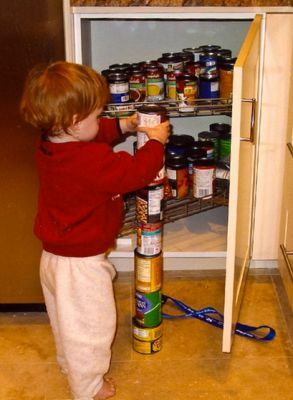 A young boy with autism, and the repetitive stacking of cans he made. You should also know something about the medical history of the disease, so you can eliminate your doubts one by one. Let's take the case of a medical history in Japan. In just 40–60 years ago, I believe that we did not have children with autism. Records show that children with autism appeared very much later than 1955. And now, in this modern century, autism seems to be increasing dramatically worldwide. Some reports estimate that three to six children out of every 1,000 will have autism. Males are four times more likely to be autistic than females. The reason for this has not been determined. Twins are more likely to share autism, and identical twins are extremely likely to share autism. Also, pregnant women who smoke cigarettes can increase their baby's risk of developing autism. Children with autism are found in about 1 out of 500 mothers who smoked cigarettes daily. It is now common sense in Japan that pregnant women should not smoke. 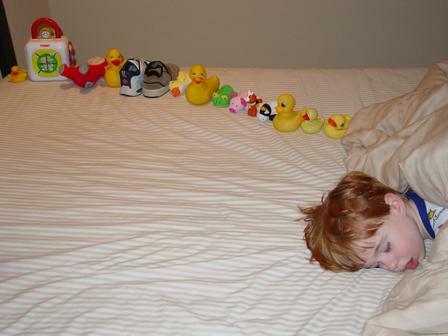 Precisely lining up of objects may indicate autism. Just a few years ago, a researcher in France announced that an evidence of heritability was found. The researcher continues to say that autism is more of a hereditary disorder. However, there are no strong evidences that it is hereditary. As usual, there are more questionable findings by other researchers. Also, there are other reports and evidences that some type of vaccination can affect babies whose age is less than 3 years old. Studies for autism still seem a long long way to arrive into conclusion by medical scientists of the world. I have mentioned in my articles that rabies, BSE, carp virus, bird flu, AIDS, Ebola virus, West Nile fever, swine flu, and many others are caused by the negative energy. Although we do not have any records for autism, I can believe that it is also caused by the negative energy. Yes, definitely, all these mysterious diseases of unknown cause including mosquito-transmitted encephalitis, malaria, dengue fever, and yellow fever, are caused by the negative energy. In fact, two of our friends who were carried to the hospital suffered from malaria and dengue fever. They are both comatose and the doctors told their relatives that there's no hope for recovery. My men were informed about the incident and brought the PYRO-ENERGEN with them and rushed to the hospital. Yes, both of them recovered practically in an instant and in a few hours time using the PYRO-ENERGEN therapy. The doctors and nurses of the hospital were amazed about the incident. Many doctors, who do researches of their own, do not want to accept the PYRO-ENERGEN technology and theory because of their pride in their studies.